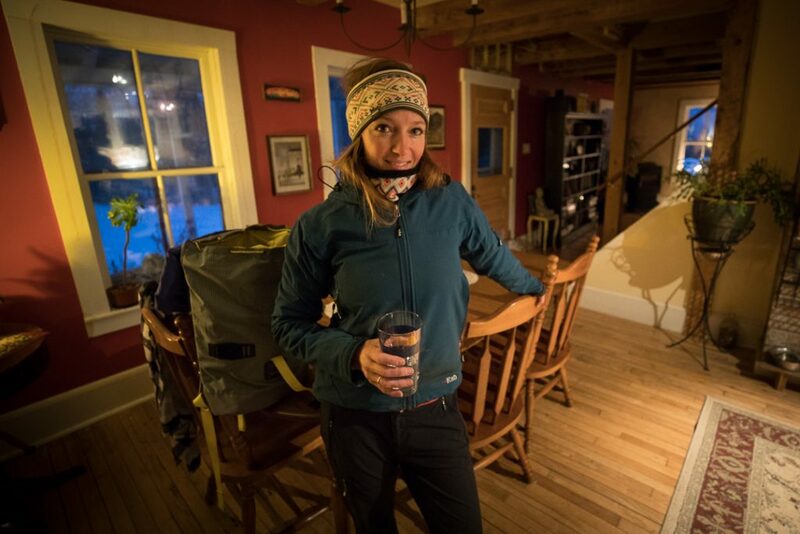 It takes a truly tough adventurer to go camping in the Northeast during winter. 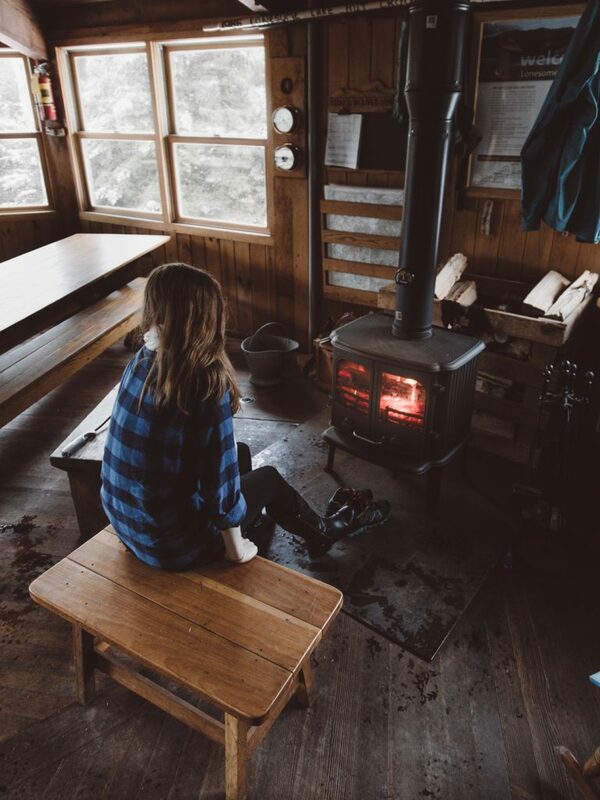 But, for anyone who wants to get out—but not spend a night lying in the snow—or for someone who just wants to switch things up for an easy weekend, there’s nothing more quintessential than sitting by a fire in a cozy cabin in the woods. 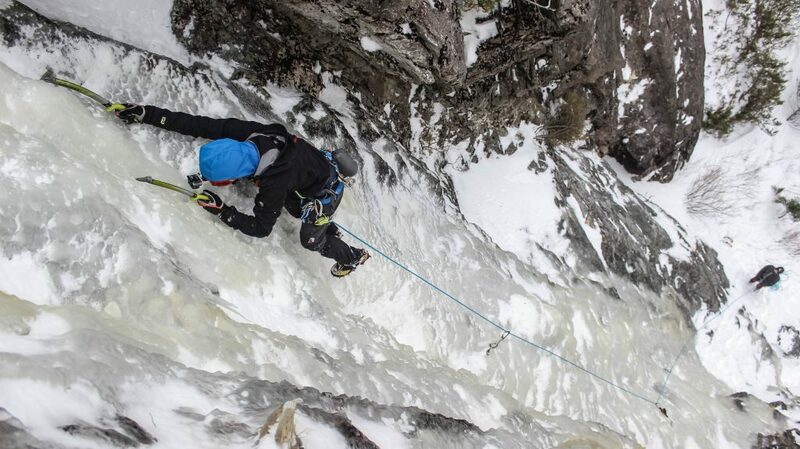 And, in the White Mountain National Forest, that’s easier to do than you might think. 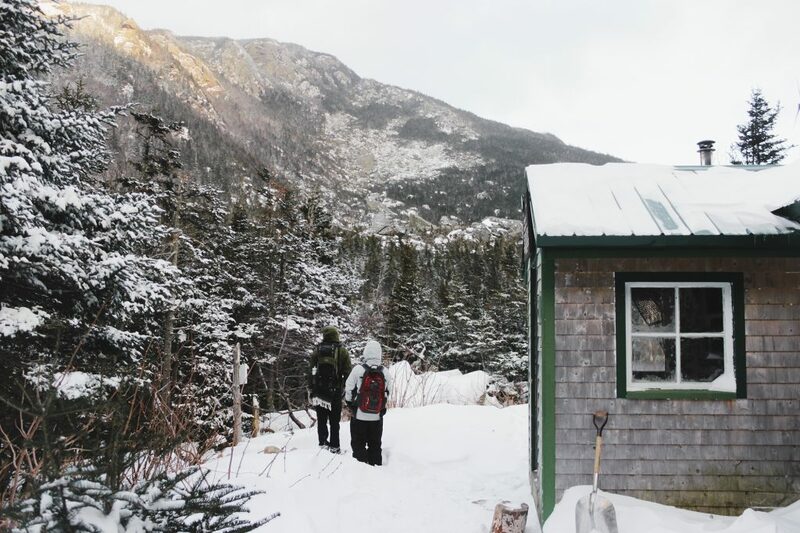 The Appalachian Mountain Club operates a series of huts throughout the Whites during the summer, and in the winter season, three of these backcountry outposts remain open for everyday hikers, thru-hikers, and anyone else trying to stay a little more comfortable during their overnights. Getting to these huts requires a bit of a hike, with some longer than others, and none are a small task in the winter. The easiest to access is the Lonesome Lake Hut, located 1.6 miles from the Lafayette Place Campground in Franconia Notch on I-93. 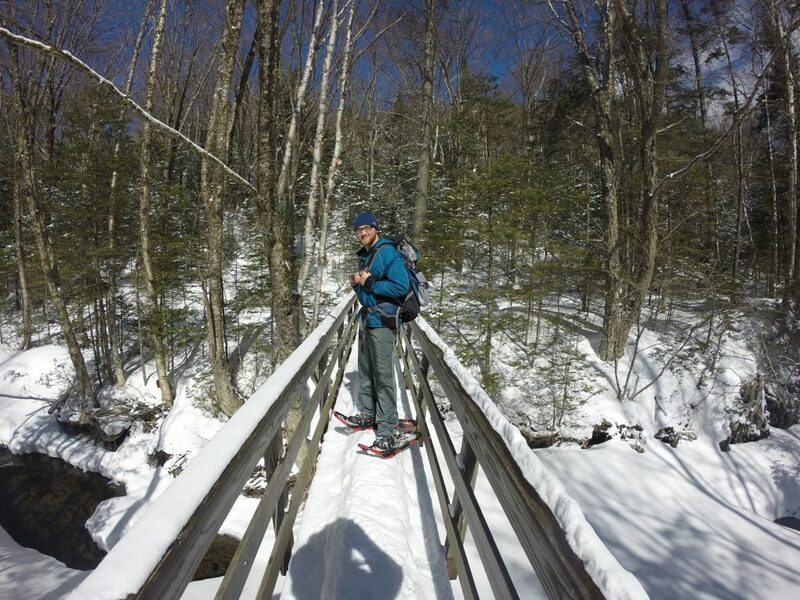 It is a relatively easy hike for experienced hikers, but it’s important everyone remembers snowshoes and crampons to effectively conquer the ice and snow that may be on the trail. 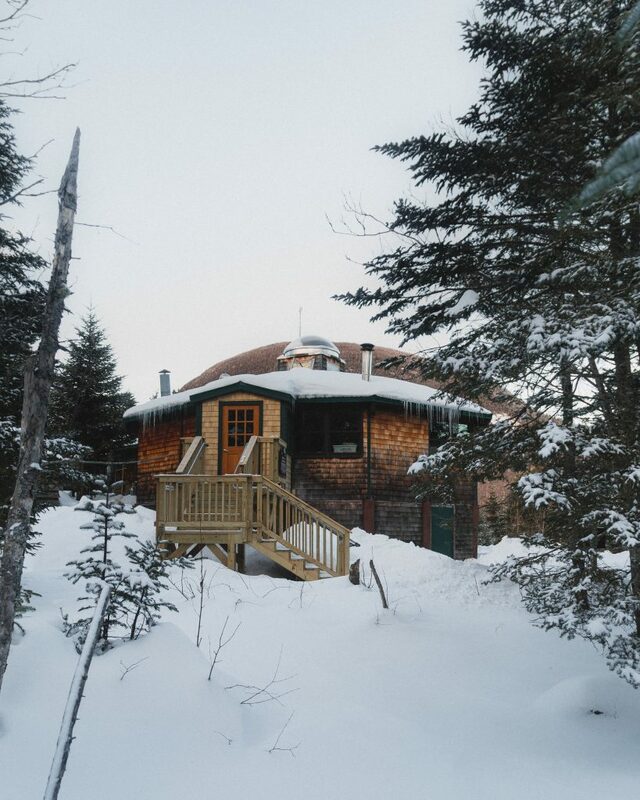 The Lonesome Lake Hut sits behind Lonesome Lake, offering a perfect view of Franconia Ridge: some of the most beautiful views New Hampshire winters have to offer. Caretakers light a fire in the hut after 4 p.m., and with plenty of games and books about the history of the mountains, it may be one of the most relaxing evenings you’ll find out here. 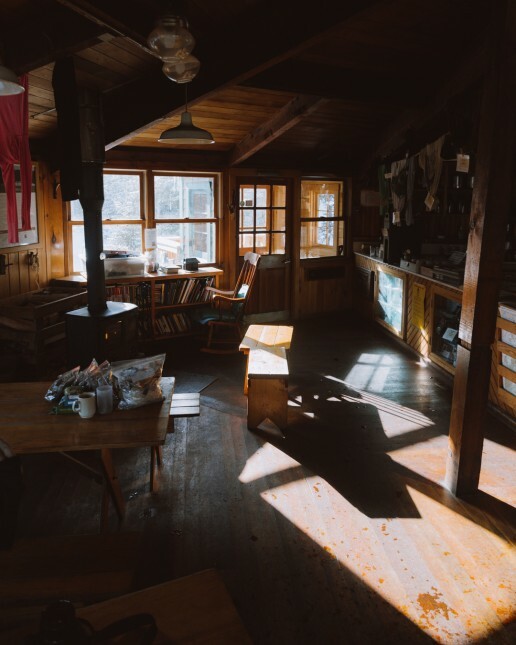 The Lonesome Lake Hut features bathrooms, running water, and a full kitchen with gas stoves to prepare food. Almost completely made from wood, the architecture and atmosphere will beat every hotel you could find. 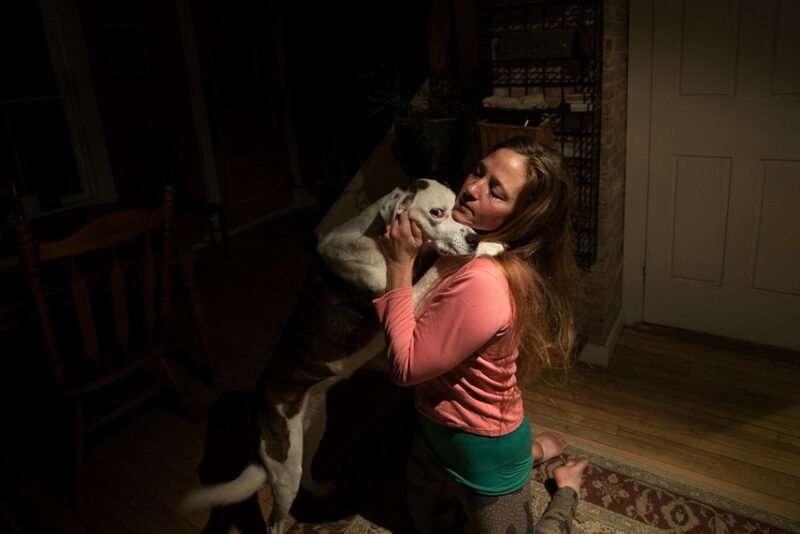 Even on the coldest winter days, they give you a warm, cozy, at-home feeling. Carter Notch Hut, requiring a one-way 3.8-mile hike, is the next-most accessible, taking hikers up a beautiful trail through the Whites’ deep wilderness. Hikers pass the Carter Lakes, where you’ll find the massive peaks of Carter Dome and Wildcat Mountain in the background. This hut, like the others, will have some snacks available, and it also provides a pillow, so you still need to pack a sleeping bag and blankets in order to stay warm through the night. Additionally, two detached bunk houses offer more of a cabin experience. For adventuring nearby, the trails close to the hut are a must for exploring and relaxing. Most hikers will continue—either the next day or after dropping of most of their heavy equipment in the hut—up Carter Dome. The huts are about 1.2 miles from the summit, where, on a clear day, the spectacular views are more than worth the trek. Zealand Falls Hut may not be the hardest to access, but it requires the longest journey. It is only about 2.8 mile miles from the trailhead, but during the winter, the Zealand Road is closed, which adds an additional 3.5 miles. 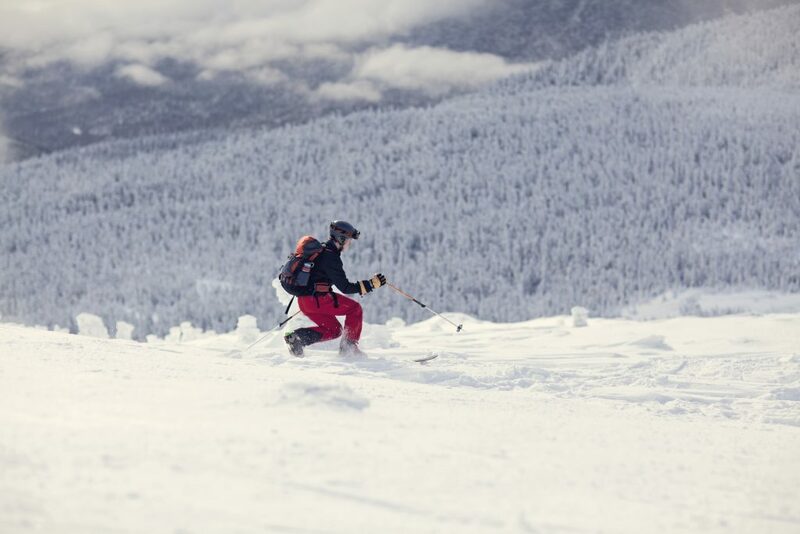 While it’s certainly doable on foot or by snowshoe, cross-country skiing can speed it up. Either way, the trail is a stunning trek that’s worth every second. 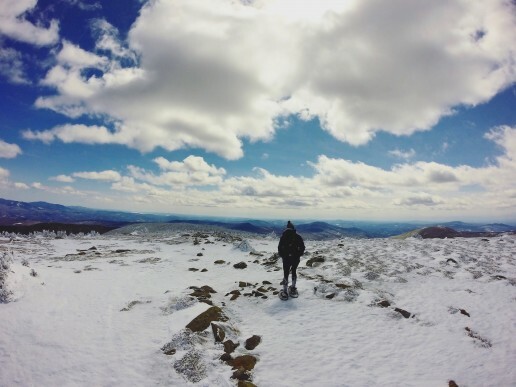 For a hike in the Whites, the journey is relatively flat, so you can enjoy the frozen ponds and scenic backgrounds without having to think about every step, like most other routes you’ll take in winter. 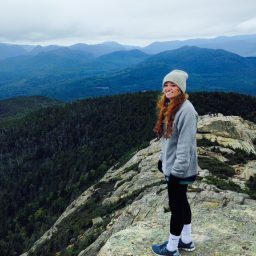 After getting to the hut, one of the best ways to enjoy the evening is by continuing up about 1.3 miles to Zealand Cliff, where the lookout is often regarded as one of the top views in the entire White Mountain National Forest. If you’re looking for something to do back inside, the hut’s sign-in books are a great source of entertainment. Caretakers store all of them on a shelf, each full of names, drawings, and stories from the hut’s visitors throughout the years. 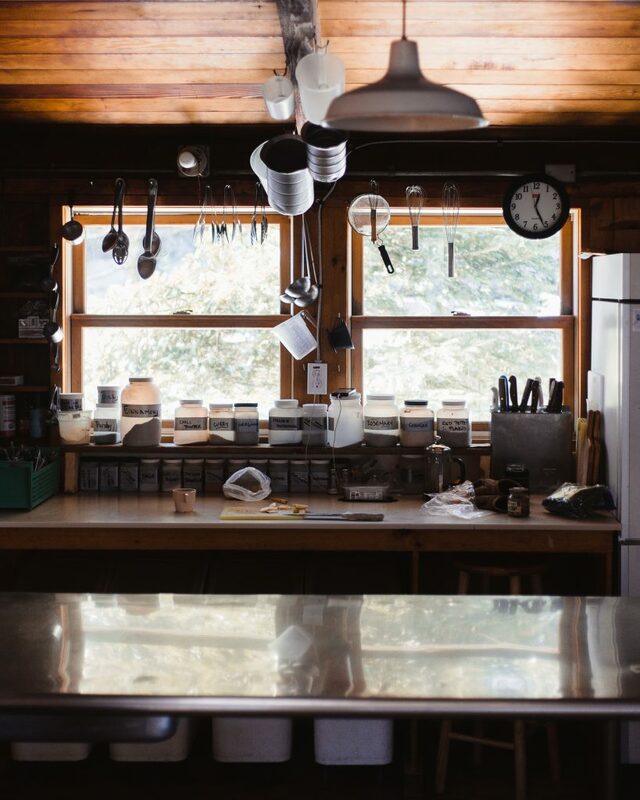 Even though these are relatively civilized spaces, visitors are still asked to adhere to standard Leave No Trace principles: Specifically, never leave trash behind in the hut and bunk houses, just like you wouldn’t want to leave waste at your campsite if you were tenting. Most people will bring a small plastic bag to store unwanted items until they get off the mountain. 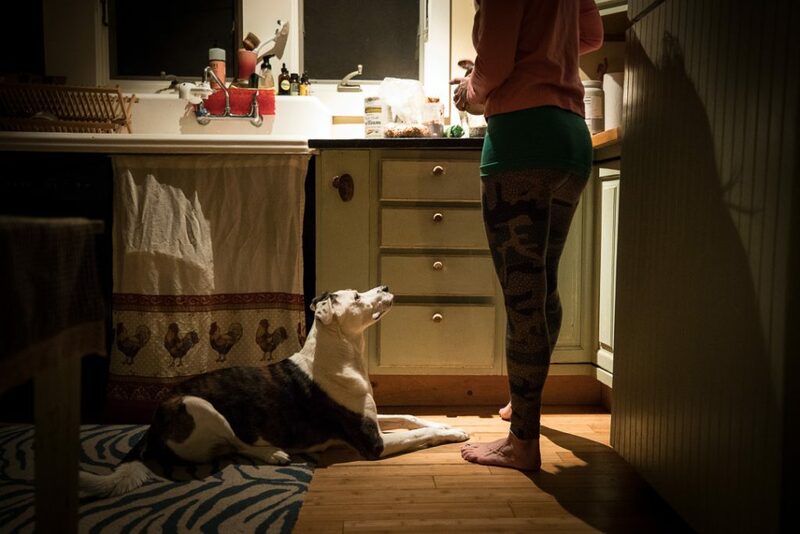 It’s also important to be respectful of other hikers staying at the cabins. Many people come out here to get away from civilization, so try to keep noise levels down after sunset. 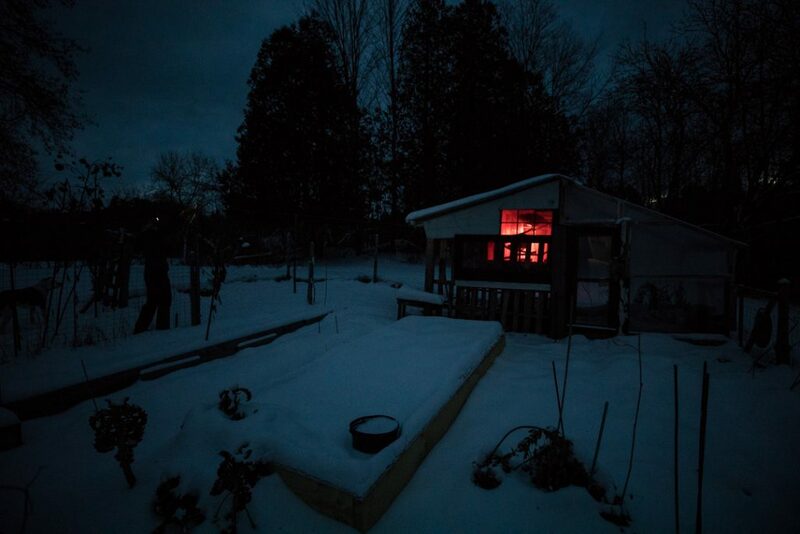 The comfort of staying out of the wind and cold costs $33 per night during the winter season ($27 if you are an AMC member), and in the process, you’re helping support the AMC’s work. The caretakers and hut “croo” members are some of the friendliest people on Earth, so get out the calendar and plan your next trip! 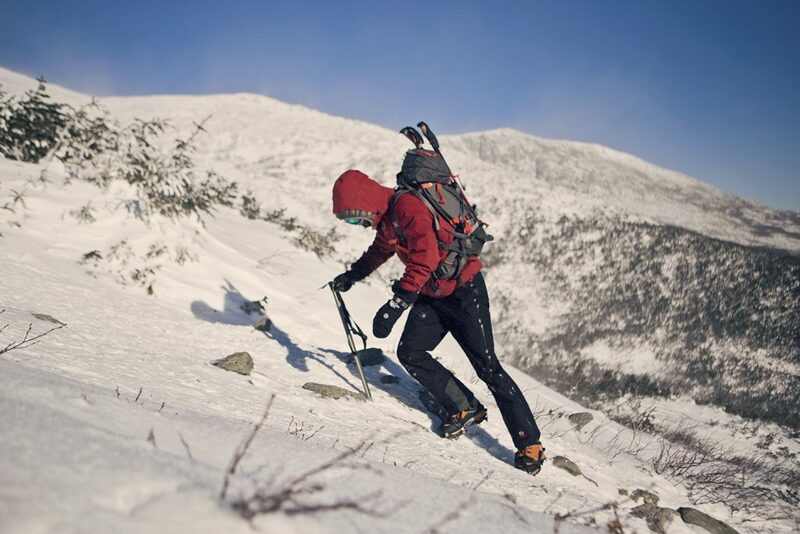 The fantastic backcountry skiing on New Hampshire’s Mount Cardigan is far from a secret. 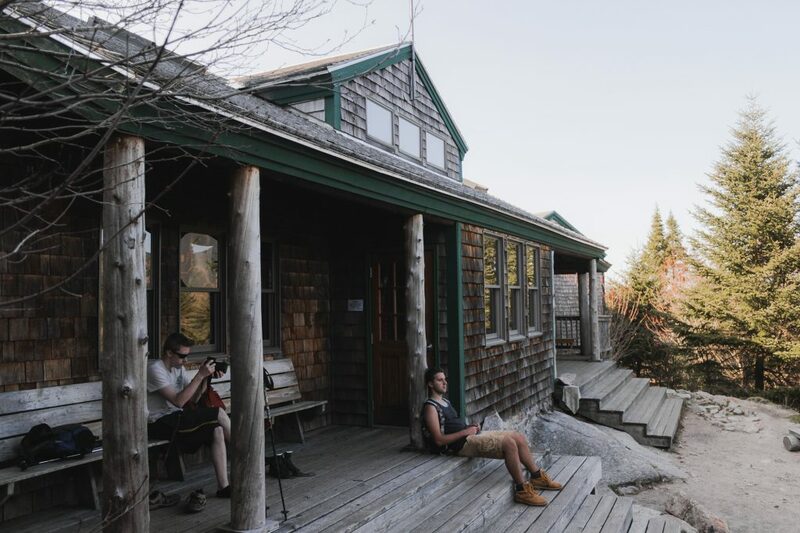 With an Appalachian Mountain Club-owned lodge at the mountain’s base, as well as an AMC-operated high cabin located a half-mile from the summit, Mount Cardigan draws an eclectic group of snowshoers, campers, and backcountry skiers during the winter. 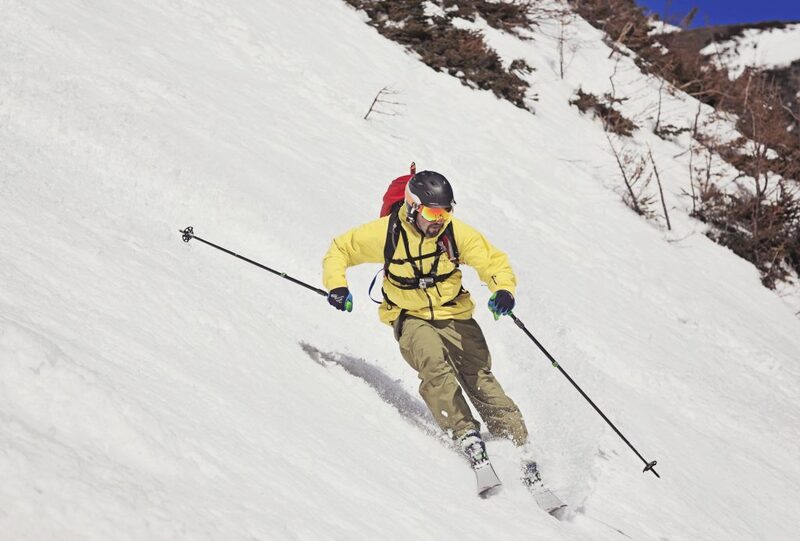 Further adding to the mountain’s popularity is its inclusion in David Goodman’s seminal book, Best Backcountry Skiing in the Northeast: 50 Classic Ski Tours in New England and New York. It’s not uncommon to show up at the mountain, only to find the parking lot already packed with cars. 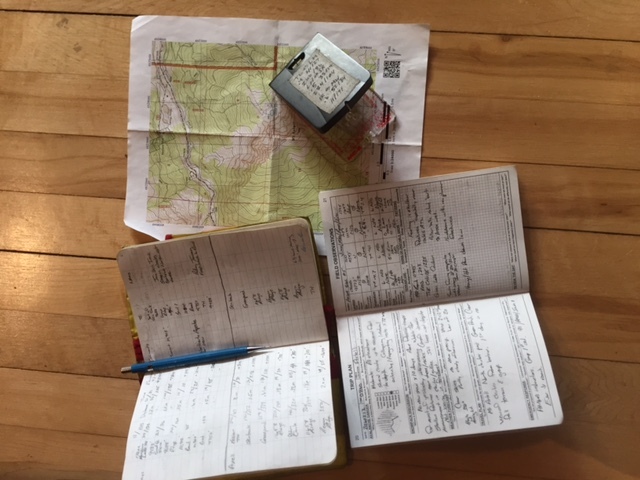 But, don’t be discouraged; this has happened to me on more than one occasion, and once I was in the woods, I saw hardly anyone else…and still found some freshies! In addition to the AMC’s presence on the mountain, one of the main reasons for its popularity is its proximity to Southern New England. Located off exit 23 on I-93, it’s substantially further south than most other popular New Hampshire backcountry spots. Keep this in mind if conditions seem questionable, as the snow here is less predictable than its northern counterparts. 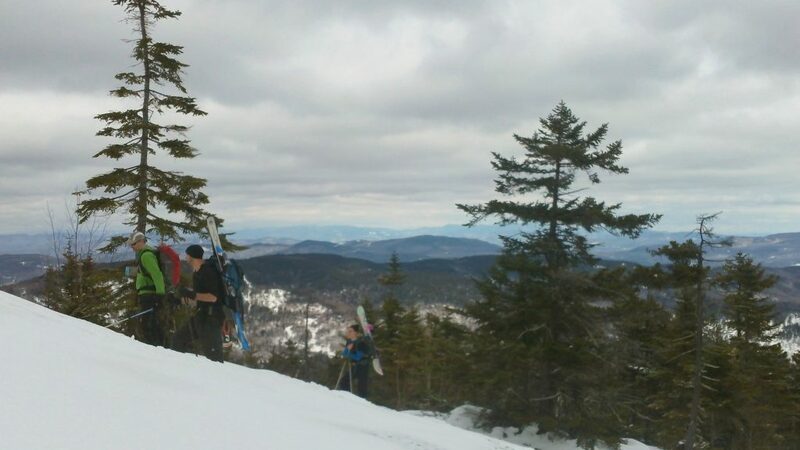 With relatively wide trails and nothing incredibly steep on Mount Cardigan, it’s no wonder that many backcountry skiers get their start here. Throw in trails protected by trees (it’s easy to enjoy great skiing below treeline if the weather isn’t cooperating), a lodge to get ready in, and a fire to sit in front of if you burn yourself out before the rest of your group, and Mount Cardigan is a great place to transition from skiing the resort to exploring the backcountry. With its close proximity to the Northeast’s population centers, Cardigan is a great choice for skiers looking to spend more time skiing and less time driving. 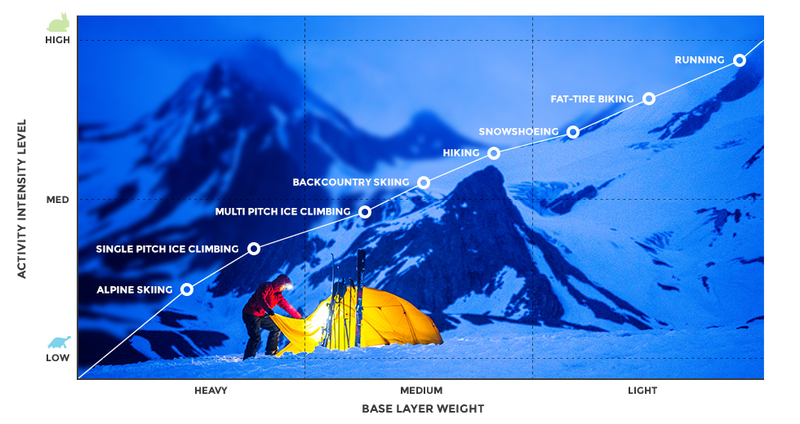 Also, the lack of steepness and shorter trails allow fit skiers to take multiple runs in a day. 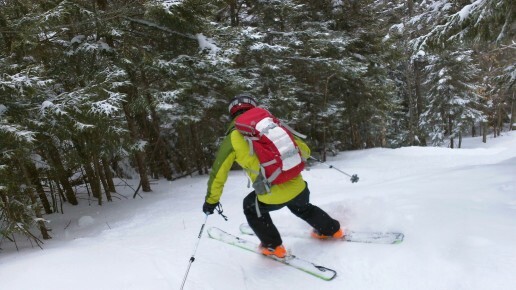 Mount Cardigan has two trails designated for backcountry skiing, and a handful of stashes if you feel like poking around. But, even if you don’t discover the stashes, you’re sure to have a blast! The Alexandria Trail is the shorter and steeper one of the two main routes. Specifically designed for skiers by the Civilian Conservation Corps, this trail widens right when you want it to and gives you plenty of room to carve. The Duke’s Trail is a great run for first-time backcountry skiers, and although longer than the Alexandria Trail, its gentler terrain is perfect for getting new skiers comfortable away from the groomers. 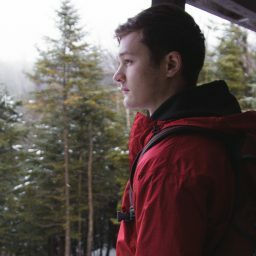 Although both the Alexandria Trail and the Duke’s Trail are mostly protected by trees, both do ascend above treeline to a bare summit (the result of an 1855 fire) and deliver great views of Monadnock to the south, the White Mountains’ larger peaks to the north, and Vermont in the west. Because of the unprotected nature of the slopes above treeline, I have found everything from bare rock to snow piled high, thanks to the wind. You never know! With the beta in hand, now all we have to do is wait for snow. Keep in mind that, while there is a lodge at the bottom of the mountain, this is still backcountry skiing, and there is no ski patrol there to mark hazards or take care of you if you get hurt. 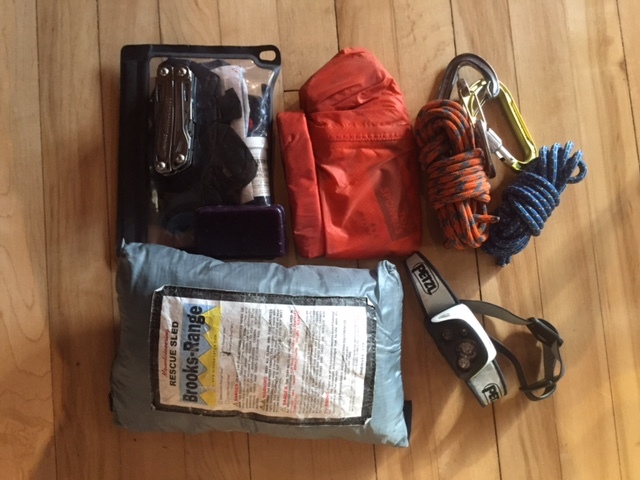 If you want to learn more about how to pack for a backcountry ski trip, take a look at our What’s In Your Guide’s Pack article to see what EMS Climbing School professionals carry with them when heading into the backcountry. 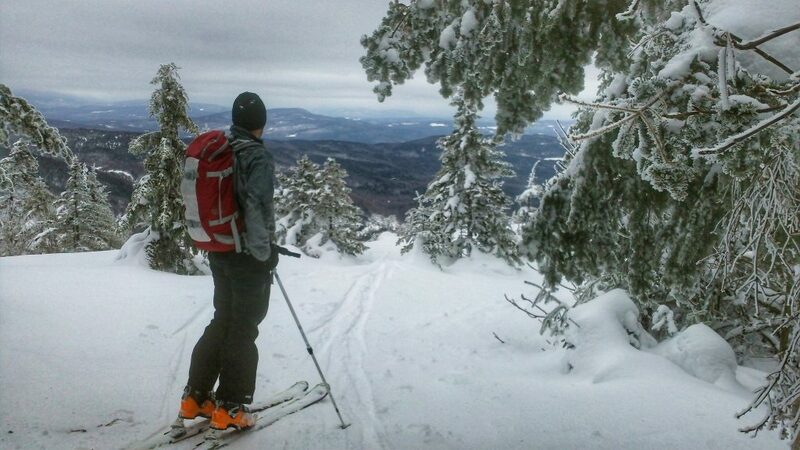 What’s your favorite part of skiing Mount Cardigan? The crowds are buzzing for a good reason. 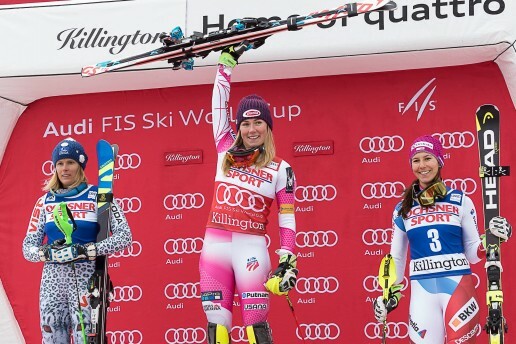 Killington Ski Resort is hosting the women’s 2016 Audi FIS Ski World Cup slalom and other great slalom events this Thanksgiving weekend. Women from 27 countries will be converging in Vermont and competing to ski away with the trophy and, more importantly, with bragging rights. Plus, over 2 million people are expected to watch the broadcast! 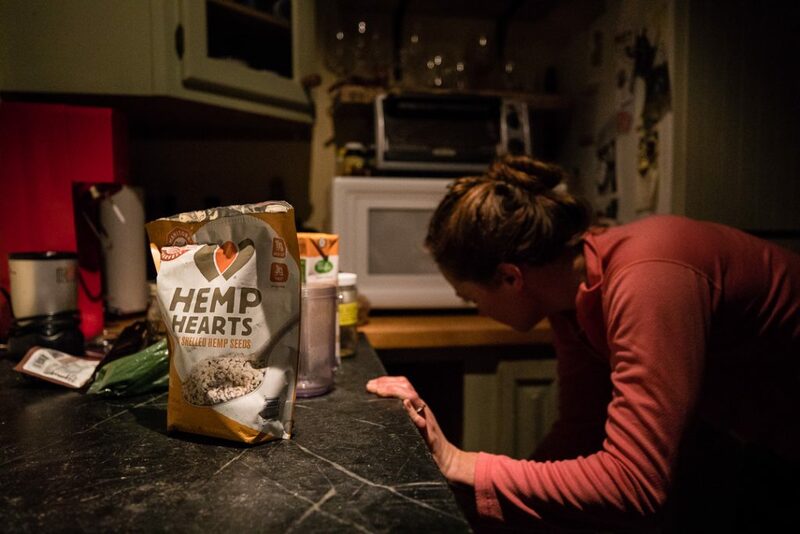 The West Coast has a hobby of stealing the hosting spotlight, so Vermont may not seem like the most conspicuous location for such a massive competition. But, the East Coast is no stranger to the big stage and bright lights. Throughout history, a fair share of major winter sports events have put the upper-right USA on the map. Here is a list of five representing the Eastern seaboard. 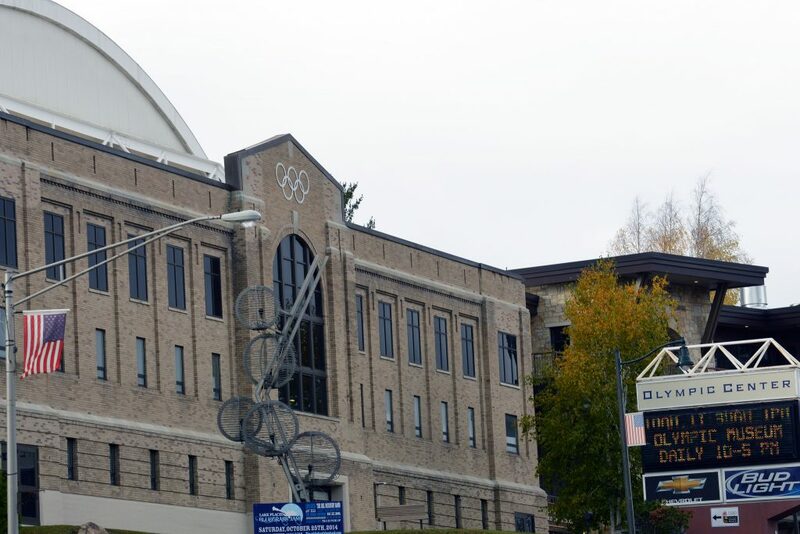 Lake Placid hosted the Winter Olympics in 1932 and again in 1980, the latter of which included one of the most famous victories in sports history. When the U.S. hockey team defeated the Soviet Union, then the defending champion, the “Miracle on Ice” was born. This stunning and unpredictable victory is still today arguably one of the best Olympics moments. Many facilities can still be toured, so be prepared to feel that Olympic spirit. Although the competition has since moved to Vail, Colorado, Stratton Mountain hosted the US Open Snowboarding Championships for 27 years. Prior to Stratton, the competition was held at Suicide Six and Snow Valley, meaning it lived in Vermont for a grand total of 30 seasons. These events certainly helped with snowboarding’s progression and shaped the path for future US Opens. 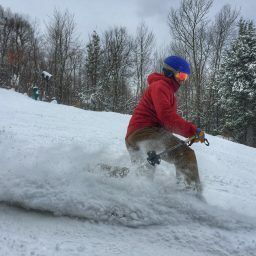 Prior to this year, the last time World Cup events were held on the East Coast was in 1991 at Waterville Valley Resort and, before that, in 1978 at Stratton Mountain. With this trend, hopefully we can look forward to seeing more slalom events close by in the future. In February 2016, Fenway Park was filled with some of the world’s best slopestyle skiers and snowboarders impressing the crowd with big air entertainment, all part of a U.S. Grand Prix and FIS World Cup touring event. Fans normally look forward to seeing the green baseball field, but for this occasion, it was all about the white snow. 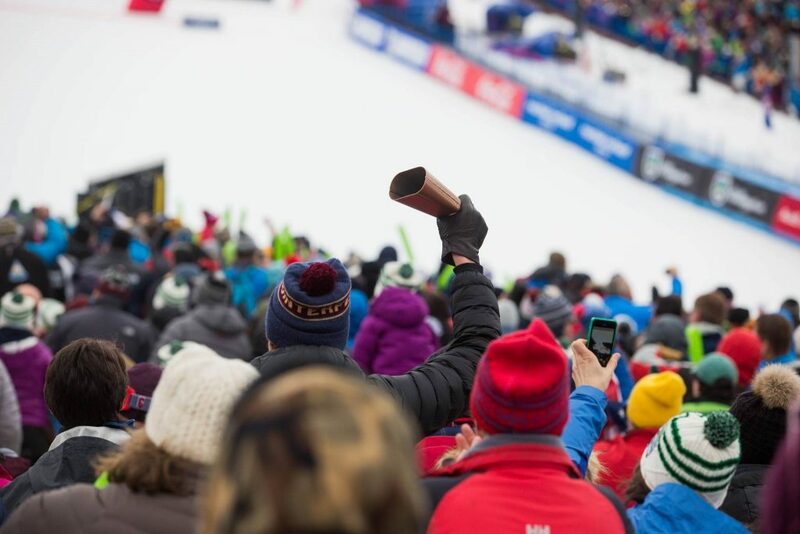 Hosting the 2016 World Cup on November 26th and 27th, Killington Ski Resort has been the location for several famous past and present events. In more recent memory, the U.S. Grand Prix used the grounds in 2008 and again in 2009, while the Dew Tour and the Gatorade Free Flow Tour have also passed through. As Killington offers the largest ski area and a longer winter season, it’s no wonder this resort has been selected multiple times. Ski conditions tend to appear overnight, so when the time comes to hit the slopes each winter, even the people who are the most devoted to sliding on snow find themselves woefully underprepared. To make sure everyone is good to go from the start, I spent an afternoon in Peterborough, New Hampshire, with EMS ski guru James McDonough. 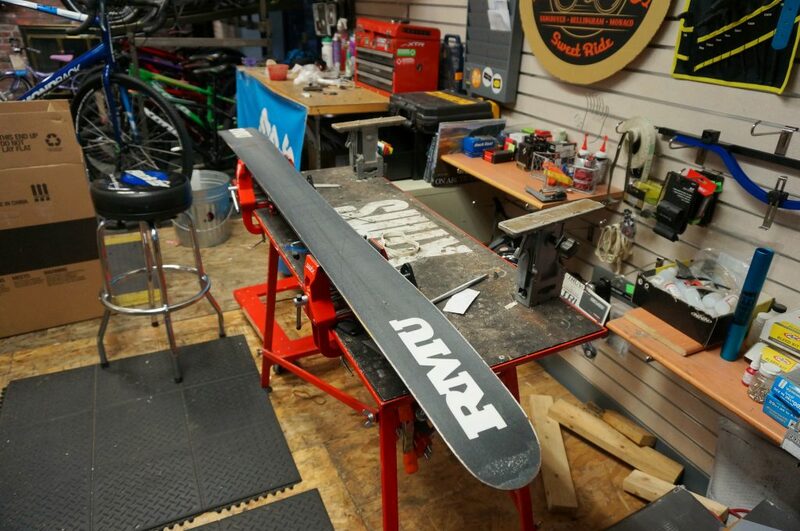 For nearly a decade, James has been behind the Peterborough shop’s ski bench, and he’s the company’s go-to guy for everything from the skinniest cross-country skis to today’s widest powder planks. In fact, he’s even got snowboards dialed in. You did a summer tune, right? In the Northeast, it feels like the ski season ends almost as quickly as it begins, and with the arrival of good weather, guys like James are psyched to get on their bikes and into their kayaks. But, savvy skiers know that, before retiring your sticks for the season, you should give them a good cleaning and a thick coat of wax to keep the bases from drying out over the summer. 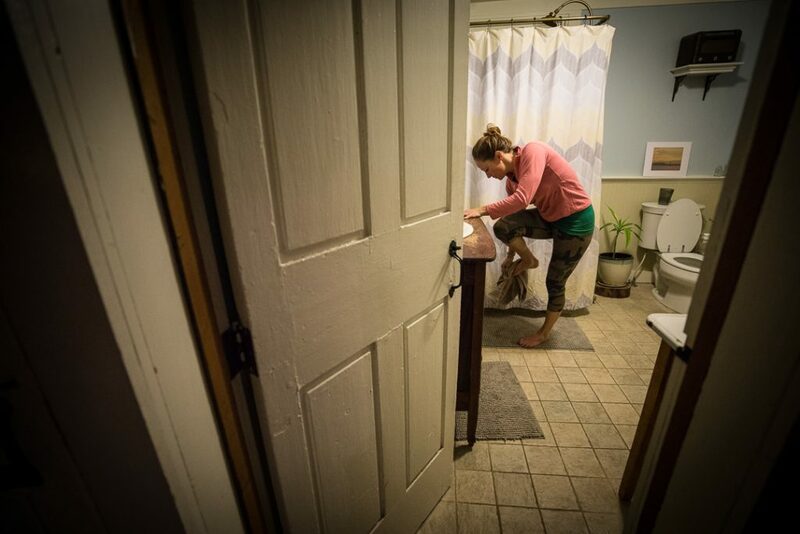 Clean the bases: Think of this as a doctor washing his or her hands before surgery. Everything you do from here on happens on a clean slate. Base Repair: Did you hit a rock in the spring? Get a little too aggressive on a day that wasn’t quite deep enough? Now is the time to patch those holes! Sharpen your edges: James suggests buying a sharpener with angles for simple home tunes. Clean the bases again: As you sharpened your edges, you left tiny metal shavings on each base. Cleaning the base again removes those sinister shavings before the next step. 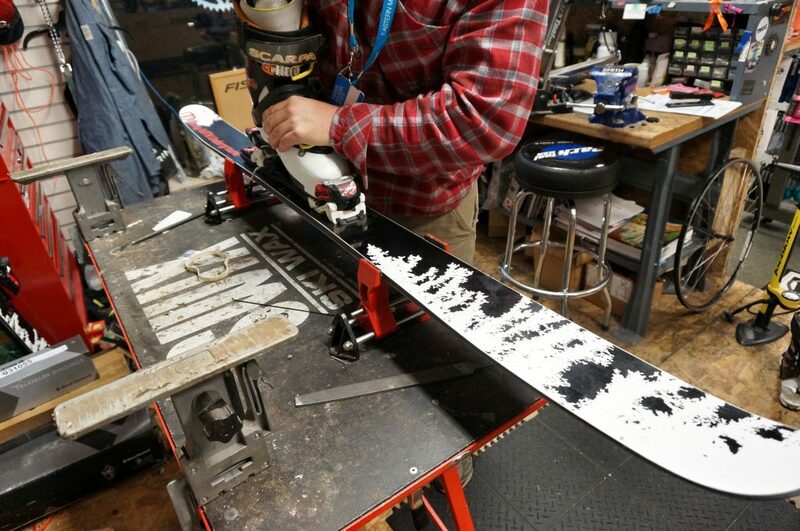 Wax on, wax off: Iron a coat of wax onto your skis, wait for them to cool to room temperature, scrape the wax off, brush the base from tip to tail, and, finally, polish it off with a fiber pad. 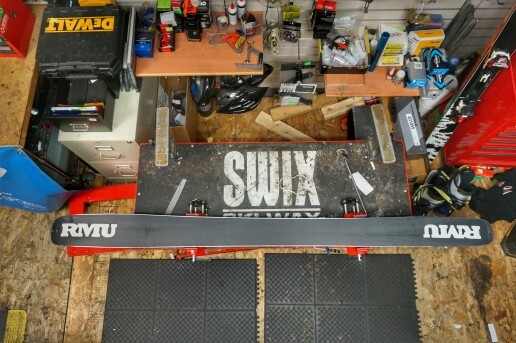 Behind James’s ski bench, you’ll find a full set of SWIX ski tuning supplies—and, luckily for the home tuners out there, EMS.com and our ski stores carry a full assortment. Of course, if this sounds like a fair amount of work, you can always drop your skis off to James or any of our other great ski techs. 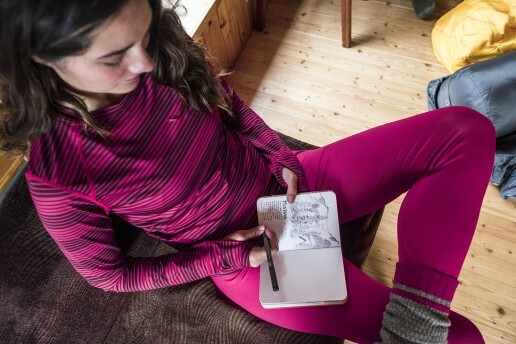 Since you have your skis out, it’s a good idea to give your bindings a once-over before you head to the mountains. 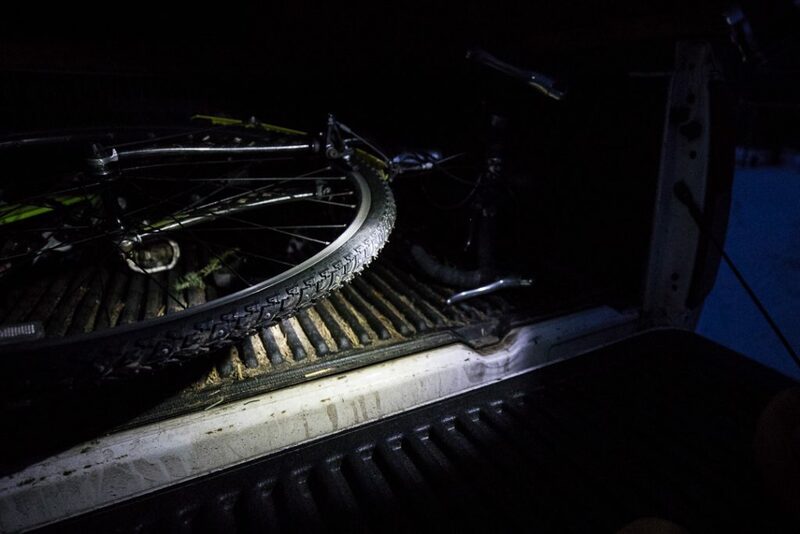 Check them to make sure the mounting screws are tight, and click your boots into them to see that everything fits and is aligned correctly. As James pointed out to me, there is nothing worse than showing up for your first day, only to discover that something simple is wrong. While your boots are out, put them on your feet, and see how they feel. If they’re not just right, it might be time to remold them. 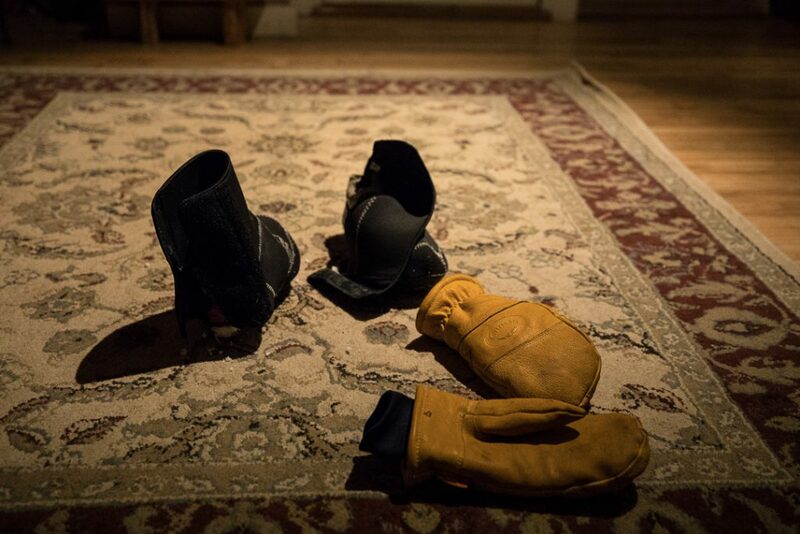 Over the years, James has breathed new life into old boots by simply “cooking” them more times than he can remember. If you’re doing this at home, don’t just toss your liners into the oven—make sure you follow the directions that come with your boots. 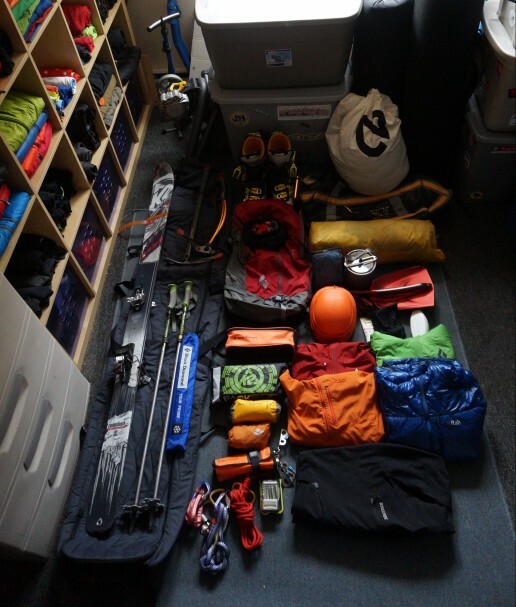 According to James, going through all of your ski stuff is an easy way to ensure the best opening day possible. 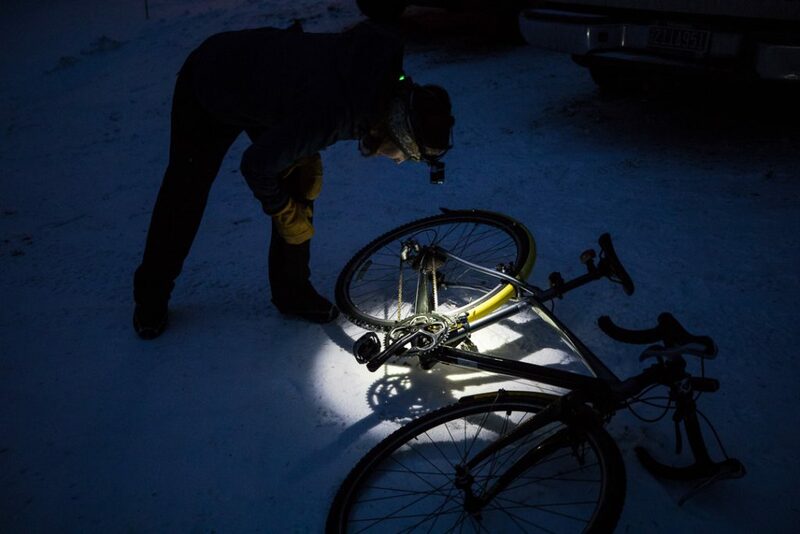 Dig out your helmet and goggles to give them an inspection. Does your helmet look worse for wear? Are your goggles scratched? It might be worth replacing them now. Also, do you know where your balaclava and gloves are? Do you have a supply of hand warmers? 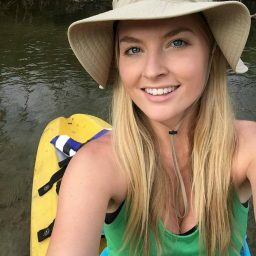 If you use adjustable poles, are they bent, or do they still adjust? 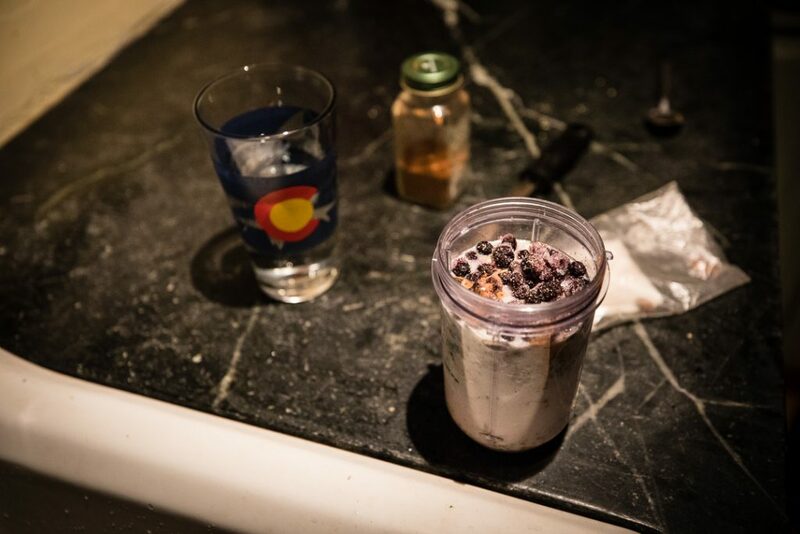 James reminds us that, “Although the temptation is to just dump all ski stuff into the back of the Subie and head for the mountains, spending a little time getting yourself ready can save you big dollars, lots of aggravation, and ensure your first day is a good day.” Because even though James has never had a bad day skiing, he’s pretty sure he has seen a few people who have. 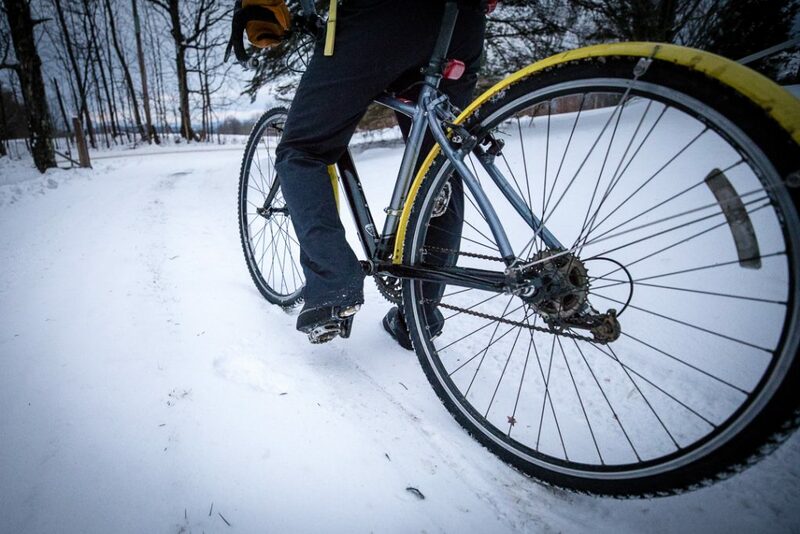 Do you have any other tips to get ready for the season?